“Humanity is the best virtue and the protectors of HUMANITY are the Real Human in this world.” keeping this thought in mind, P.P.G. 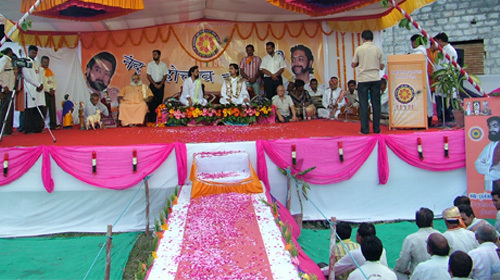 Shree Balkrishnalalji Maharashree, the father of Jeje Sri Priyankrayji had seen a dream a decade ago for his society, for the society of “ONE WORLD, ONE FAMILY” and this dream flourished and even matured under the guidance of Jeje Sri Priyankrayji, following the foot prints of his father. His Holiness Shri Balkrishnalalji Maharajshree has put lots of efforts for JAL SANCHAY, in which he himself went village to village and motivated the farmers and other people for storage of rain water. He showed many different ways to store water, along with inspiration for growing more Trees. 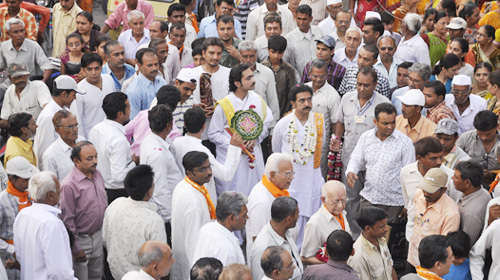 They took active participant in Save Water, save life, Blood Donation & most important Human Values. 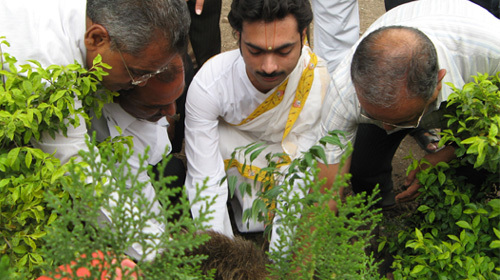 With the spiritual & devotional deeds they kept time for Human Values. The Vedas expounded a diverse set of practices, ideas and concepts; among them was an primitive form of yoga as well as one of the world’s oldest, diverse and complex spiritual philosophies. Six main schools of philosophy emerged from these teachings. These Darshanas (viewpoints) all systematically represent the core ideas illuminated in the Vedas. They are: Nyaya (logic), Vaiseshika (analysis of the universe), Samkhya (classification of the universe), Yoga (union with the Divine), Mimansha (ritual interpretation of the Vedas), and Vedanta (inquiry into the Self). Surya Namaskar or Sun Salutation is an ancient technique of paying respects to the sun. Constituting of 12 different postures, it is a form of expressing gratitude to this source of all life on earth. Does it have any base in science? Yes, it does. In fact, it is essential to understand the science behind this ancient technique. This will help you approach this powerful yoga practice with the right outlook. Ancient Indian sages have said different energies govern different parts of the body. For instance, the solar plexus that is located behind the navel is connected to the Sun. Regular practice of Surya Namaskar enhances the size of the solar plexus. This, in turn, increases your creativity, intuitive abilities, decision-making, confidence and leadership skills. This is why the practice of Surya Namaskar is highly recommended. When can I do these asanas? You can do Surya Namaskar at any time of the day. However, it is best to do it at sunrise. This is when the sun rays help revitalize the body and refresh the mind. There are benefits of doing Surya Namaskar at other times of the day too. If you practice it in the afternoon, it energizes your body instantly whereas when done at dusk, it helps you unwind. Can you practice it at any pace? Sun Salutations, or Surya Namaskar, are traditionally performed in the morning to greet the new day. The sequence of 8 postures can be a complete practice in itself, or can prepare you for a longer asana routine. Sun Salutes are often performed in sets of 5, but if you are new to the practice it’s wise to begin with 2 or 3. Sun Salutations, or Surya Namaskar, are traditionally performed in the morning to greet the new day. The sequence of 8 postures can be a complete practice in itself, or can prepare you for a longer asana routine. Sun Salutes are often performed in sets of 5, but if you are new to the practice it’s wise to begin with 2 or 3. Each time you flow through this sequence, synchronize your breath with the movements of your body. To begin, stand in Tadasana (Mountain Pose). Distribute your weight evenly over both feet. Establish a slow, steady rhythm for your breath. Find your center. Next, inhale and stretch your arms out to the side and overhead into Urdhva Hastasana (Upward Salute). Reach your heart and arms to the heavens, sending your greeting to the sun. Exhale and step or lightly hop your feet back behind you into Plank Pose. Your wrists should be flat on the floor, shoulder-distance apart, and your feet should be at hip distance. Take a full breath in as you lengthen through your spine. Exhale and roll over the toes, coming into Adho Mukha Svanasana (Downward-Facing Dog Pose). Ground down through your hands and feet as you lengthen your spine. Remain here for five breaths. On your fifth exhale, bend your knees and look between your hands. Then inhale and step or lightly hop your feet between your hands, returning to Ardha Uttanasana. Exhale back to Uttanasana, surrendering into the fold. Inhale, reaching your arms out wide to your sides and coming to stand through a flat back. Feel a renewed sense of energy as you draw your arms overhead into Urdhva Hastasana. 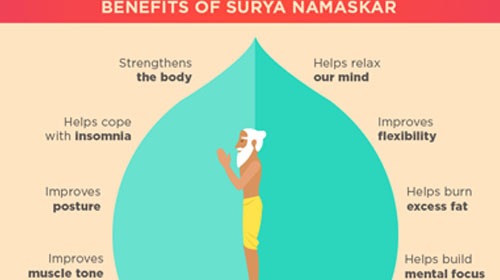 What are the benefits of Surya Namaskar? How can children benefit of Surya Namaskar? With cut-throat competition everywhere, children are exposed to stress and anxiety at an early age. Surya Namaskar helps children calm their mind, improve concentration, and build endurance. It reduces the feeling of anxiety and restlessness, especially during exams. Regular practice of Surya Namaskar also gives strength and vitality to the body. It also aids in muscle growth and making the body more flexible. Children as young as five-year-old can also practice Surya Namaskar daily. Why should women do Surya Namaskar? 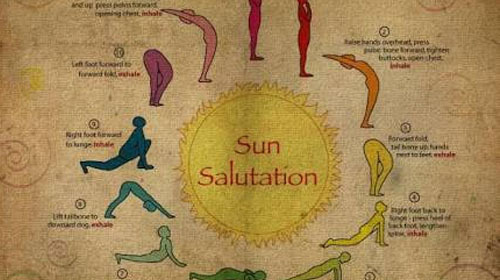 Surya Namaskar is a boon for any health-conscious person. Some of the Sun Salutation poses help lose extra fat around the belly and let you stay in shape, naturally. These poses stimulate sluggish glands like the thyroid gland and induce it to increase hormonal secretions. A regular practice of Surya Namaskar helps women regulate irregular menstrual cycles and assist in childbirth. Further, it helps the face glow and also prevents wrinkles. A regular practice of Surya Namaskar and meditation helps the almond-sized solar plexus grow and become as big as one’s palm. This expansion of the solar plexus helps develops your intuitive ability and bring more focus. On the other hand, contraction of the solar plexus can lead to depression and other negative tendencies. So, it’s highly recommended to practice Surya Namaskar regularly and experience its manifold benefits. Practicing Yoga helps develop the body and mind, yet is not a substitute for medicine. It is essential to learn and practice yoga under the supervision of a trained Yoga teacher. 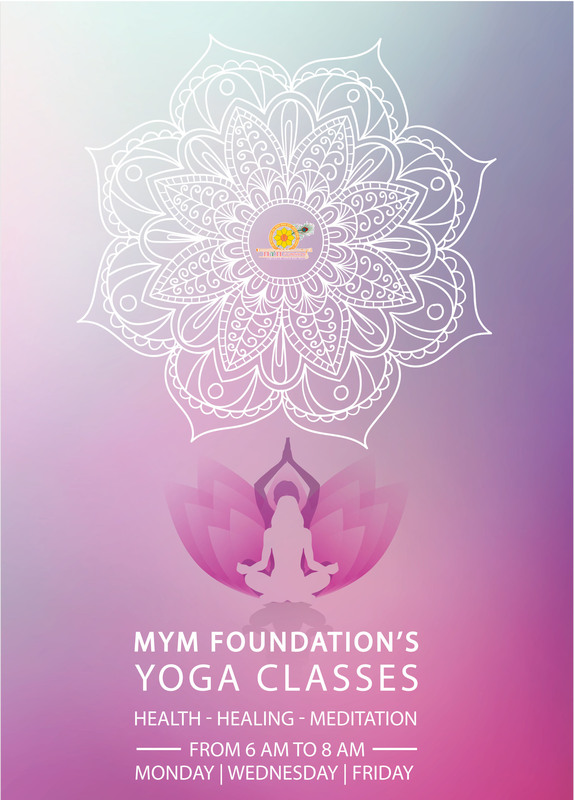 In case of any medical condition, practice yoga only after consulting your doctor and a MYM Foundation yoga teacher. Life, is perhaps the most mysterious, the most enigmatic word for, a lifetime too is too less to decipher the truths of its depths, the vastness of its purpose and, the beauty of its enigma. We are blessed to be born on the land of the lords, the land of holy gurus, saints and holy masters. Their blessings have somewhere been an innate part of our being. Essentially spirituality in subtlest form of its, has always been an inseparable part of our lives. The sad part is we forget that which has formed us, the very foundation stone is what is never remembered. We believe in VASUDEV KUTUMBAKAM and his highness is very much actively interested in making the whole world as ONE FAMILY. In Unanimity Jeje Sri is constantly making efforts for making every person to under stand one other through spiritual awareness. 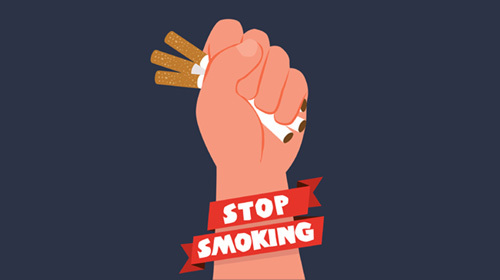 Majority of the people are enslaved by the habit of the smoking & drinking. 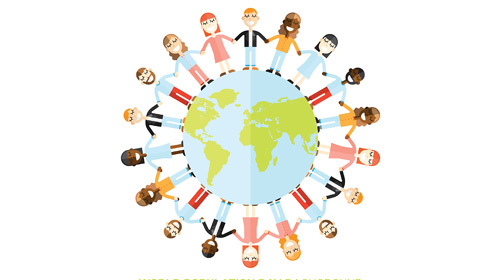 Today in the world every 5th man in the world dies due to tobacco eating, drinking or smoking habit. Health is the most important in every one's life. Taking this into consideration M Y M Foundation organizes the health awareness program & till now 47,389 people have taken the benefit of this program, and number will keep growing in time to come. ife, is perhaps the most mysterious, the most enigmatic word for, a lifetime too is too less to decipher the truths of its depths, the vastness of its purpose and, the beauty of its enigma. We are blessed to be born on the land of the lords, the land of holy gurus, saints and holy masters. Their blessings have somewhere been an innate part of our being. Essentially spirituality in subtlest form of its, has always been an inseparable part of our lives. The sad part is we forget that which has formed us, the very foundation stone is what is never remembered. The soul is a source of tremendous wisdom, love, and power, yet we remain aloof of it and let ourselves ruled by the mind, the senses, and the physical body. But what does spirituality actually means? Who is this soul that we keep chasing in our spiritual practices? Is it a science or an art? Well, the answers are in the very questions itself spirituality is both a science and an art. It’s a science in terms of the process of meditation, and how you let yourself be one with almighty during the practices is an art. An art that is to be cultivated till the very last breathe! Its, a never ending process, for its as wide as the skies, as deep as the oceans, and, as distinct as the number of people. For soul body is the cage, birth a reason, death the result and, life an assessment. Soul is a part of us where we belong, with the almighty. Spirituality brings you closer to yourself, your true nature which is divine bliss. Our true nature is not sad, angry, agitated. 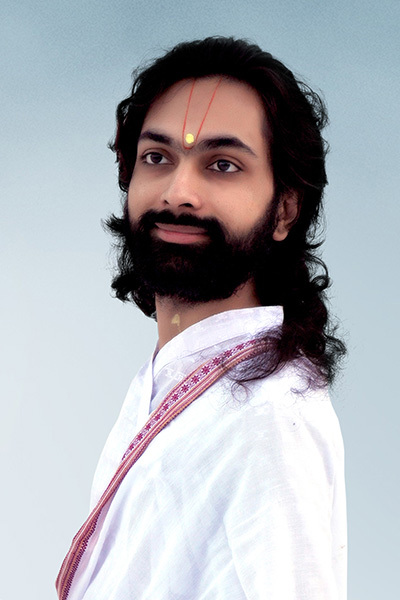 Our true nature is incessant downpour of unconditional love and bliss for, our nature reflects the origin and, we as the soul have originated from God.Every one of us in spite of all the dissimilarities that we carry with us deep down is marching on the same path, that of the union with the real self, the soul and eventually God. Like, the deer that spends all its life searching for the smell of the musk that comes from within we all are hopelessly running around, searching for the peace, happiness that completes us truly. The cycle of arousal of need fulfilling it, then again coming up with another need has become a part of us. When, we earn 20,000 we wish if our pay cheque was 2, 00,000 we will be more happy, if that is attained next 20, 00,000 and so on the chase is never ending and, so becomes our lives, never ending; having a re-birth again and again in some other form in some other way some with some other goals to achieve, with many other problems and same old problem of neglecting the inner voice of the soul. I don’t say nor wish to imply that material life is useless or that you renounce the worldly pleasures all I wish to draw your attention towards is yourself. Spare sometime with yourself in a day, begin with that, you will automatically discover the God for the way towards him is from YOU. Introspection is the key and, an honest urge a means. When, we begin questioning ourselves, dissecting our deeds, we somewhere start walking towards the path which leads to Lord. The good and the evil are both a part of us; it’s we who decide to let which side overpowers us. We, may be divided on various grounds but, the truth that we all are children of same God, is static and shall remain that way. The paths may be different but, the destination is the same. The forms may be different but, the God is same. 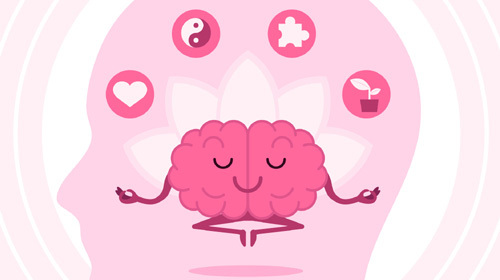 The techniques of meditation may be varied but, the experience of bliss is same. The mirrors show different images but, the shadow of everyone is same, dark waiting for brightness to remove its darkness. Jeje Sri Priyankrayji believes in “VASUDEV KUTUMBAKAM” and his highness is very much actively interested in making the whole world as “ONE FAMILY”. In Unanimity Jeje Sri is constantly making efforts for making every person to understand one other through spiritual awareness. Today’s world is of Machines world. Life of human beings is speeding so fast that they have forgotten about the beautiful nature that god has bestowed to mankind. Man has become so selfish that for his profit he has forgot to think about their life giving sources i.e. air, land, water & overall atmosphere. 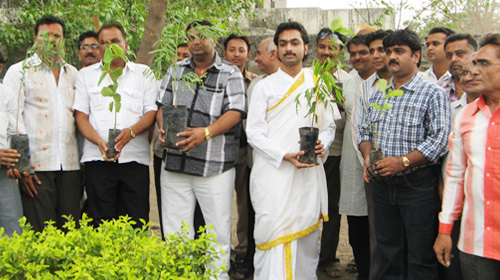 M Y M FOUNDATION is engaged in planting as many as possible trees everywhere because it the major & most effective way to be safe from GLOBAL WARMING. Due to Global Warming today we are seeing the disturbance in the nature. Heavy rainfall, High degree Temperature, Earthquake, Tsunami disaster everything is becoming un occasional & unexpected. 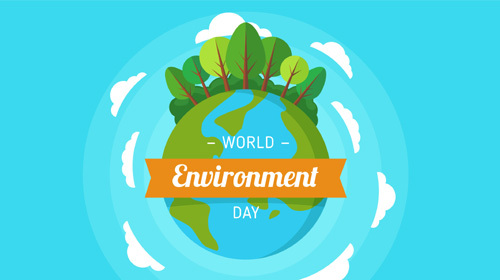 If this thing continues, human life will be endangered on this earth and UN Global Summit has also declared Global Warming as the big problem to be faced by people on this earth. M Y M FOUNDATION is constantly trying to liberate people to be free from the evil of addiction. M Y M Foundation organizes free public seminar to spread awareness among people and show them the bad effect of the addiction M Y M provides the ayurvedic medicine which helps them in being free from addiction. 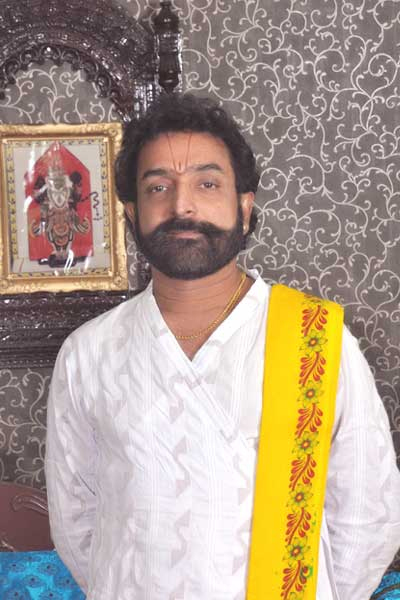 Jeje Sri is very much worried about the human being and so for that reason they specially attend the seminars and gives the strength to the people who are ready to get free from the addiction & live the non addicted life. Health is the most important in every one’s life. Taking this into consideration M Y M Foundation organizes the health awareness program & till now 47,389 people have taken the benefit of this program, and number will keep growing in time to come. If you want know more bout M Y M Foundation, want to be part of any social awareness or want to donate anything feel free to get in touch with us through mail address.